Today, we experience Wi-Fi that is faster, smarter and more widespread than ever before. Because of this, we need to be smart consumers and this month, I'd like to share three recommendations about Wi-Fi usage. Test Driving Tesla is Positively Ludicrous! Would you agree to buy a $200 to $600 smart phone if they told you up-front it would never, ever get a software upgrade, bug fixes or any new features as long as you owned it? Heck NO! Just because both systems cater to telephones, it does not mean that they work the same way. Each system comes with its own pros and cons. Blackouts, Brownouts and Storms - OH MY! Yesterday, in Connecticut, over 80,000 homes and businesses experienced interruptions in electricity. Outages ranged from quick blips to several hours and unfortunately, some folks are still without power this morning. I am very passionate about telephony and, if I can shed light on ways in which my customers can save money and improve on their services, then it's worth repeating. With this system in your work spaces, activities that were once boring and unreliable will become more engaging and rewarding. Happy Holidays! 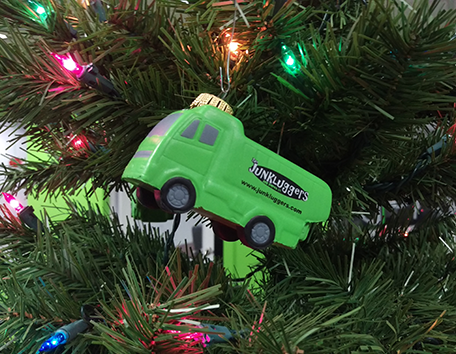 We are so excited to tell you about our coolest new customer, The Junkluggers. I am tackling a project to insulate my attic so that it maintains a consistent temperature, which will keep heat in the house during the winter and heat out of the house during the warmest summer days.